Startup Awards, the most prestigious startup competition in Slovakia, and its whole-day conference FutureNow is taking up a new partner. 2018 Startup Awards will be organized by a joint venture of Neulogy, the current organizer, and HubHub, an international net of co-working spaces. What is the aim of the cooperation? What can we look forward to? What does it mean for startups, investors, and others involved? 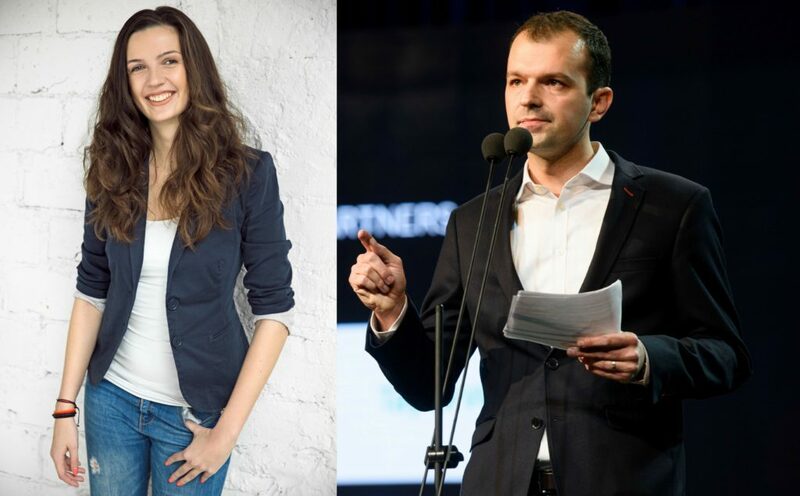 We asked these questions the CEO of Neulogy Peter Kolesár, and Global Head of HubHub, Natália Kisková. 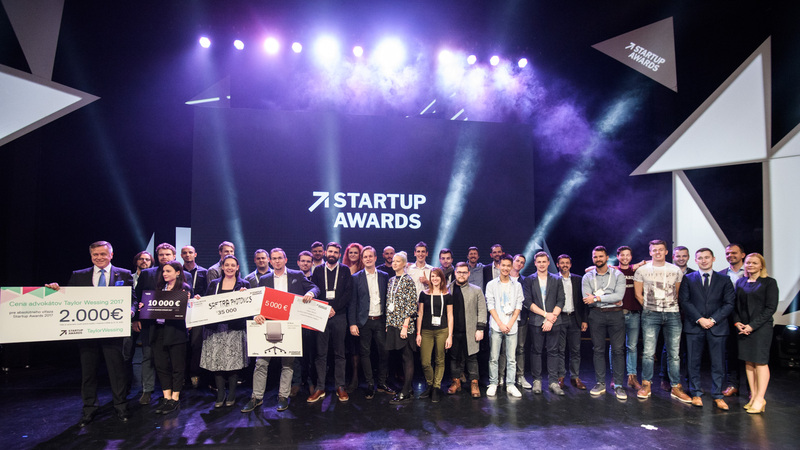 After seven years of organizing Startup Awards on your own, you are joining forces with HubHub. Why did you decide for such a step? Peter Kolesár: Startup Awards as an event has grown organically since 2011 and has become the most important startup event in the country. We knew that in order to stay relevant, we needed to constantly evolve and grow. That’s why two years ago we added a conference part to the StartupAwards competition and last year we launched a new brand FutureNow. Since our plans go well beyond Slovakia, we knew we needed a strategic partner with a strong presence in CEE, whose interests would be aligned with ours. And HubHub fulfills this completely. What did the process look like? Have discussed the options with other co-working spaces in Slovakia? Peter: We started with discussions about our vision of FutureNow becoming an event platform that would become a gravitational force for investors, entrepreneurs and corporates in Central Europe. Over the 11 months we have held the talks, we realized the best and most effective way of partnering would be a joint venture, in which both partners bring to the table what they are really good at. We bring the experience of 7 years of organizing one of the largest national startup competitions in Europe and HubHub brings international reach in Central Europe and beyond. So in this, HubHub is very unique and our collaboration very complementary. Natália Kisková: The process of establishing the partnership took some time but we are very happy with the result and hope that the synergic effects of this partnership will bring huge added value to the startup and entrepreneurial ecosystem in the Central Europe. HubHub is not only a physical network of innovation hubs, but also a platform that aims to gather the best talent in the region, continually fostering the startup and corporate community in the region through our programming activities. The FutureNow conference will become a key pillar of that mission. What can we expect from the partnership in terms of organization of the future events? What will the cooperation look like? Natália: The partnership has enabled us to create a new entity and employ a dedicated full-time team to create an even better experience than in the past. The FutureNow team is already working on implementing new, exciting formats that will engage a wider audience from Slovakia, Austria, Hungary, Poland and the Czech Republic, inevitably raising the bar of the event itself. Neulogy is of course an important part of that team, both in strategic and collaborative terms. Why is it important to spread the word about Slovak startup competition to the neighboring countries? Peter: We are planning to expand to competition to include startups from CEE as well. So the need to promote the event in the neighboring countries is clear. Natália: We think it is crucial and important to expand the scope of the competition to the CEE region as a whole. The tech and innovative entrepreneurial spirit in Slovakia is something unique, so the potential for knowledge transfer and developing the startup community on a larger scale is definitely present and something worth exploring. On top of that, an increased access to foreign capital for the startups that get involved is a key moment, one that we hope will contribute to our general mission in motivating young people to think outside the box, be empowered to start their own businesses and become entrepreneurs. How do you want to promote the Awards and FutureNow conference in the area of Central Europe? Will the Awards then take place also locally in those countries, organized by you? Natália: The partnership between HubHub and Neulogy creates a natural platform for promoting FutureNow in all of Central Europe. Targeting the startup and tech community in the region, forming new strategic partnerships and fostering existing, fruitful cooperation will be key for the promotion and success of the event. We are already working on reaching out to the community in Slovakia as well as in Poland, Hungary, Austria and the Czech Republic with our renewed concept and strengthened position. There are big plans in place but at the same time we know that we have to set realistic goals so the expansion into the CEE region will be carried out sustainably, step by step. That being said, the startup competition component of FutureNow will be expanding its reach into neighburing countries already this year, with local regional iterations taking place in the respective countries under our wing. However, Bratislava and the Slovak entrepreneurial ecosystem will always be at the forefront of our focus, with the main FutureNow conference always being held there. Bratislava is a beautiful city with a very interesting entrepreneurial culture worth showcasing. What does this joint venture mean for people who visit the Awards and FutureNow conference? Natália: The team at Neulogy has always worked hard in the past to raise the bar when organizing the StartupAwards and the FutureNow conference. The joint venture aims to do just that – utilizing the synergies created by our partnership, we are not only going to expand the reach of the FutureNow platform abroad but also work on improving the experience for all visitors of our events. With new interactive formats, an interesting and curated selection of speakers and partners, new networking opportunities and multiple events being held throughout the whole year, past and future visitors have a lot to look forward to. What does the cooperation mean for the Awards winners and contestants? Peter: Competing in the Startup Awards final has always been very prestigious for Slovak startups. And winning the competition has been in many ways a stamp of credibility when raising money from VCs. So making the Awards better and bigger will draw larger crowds, will attract more international investors and will mean a whole lot more for finalists in terms of their visibility and promotion in CEE. 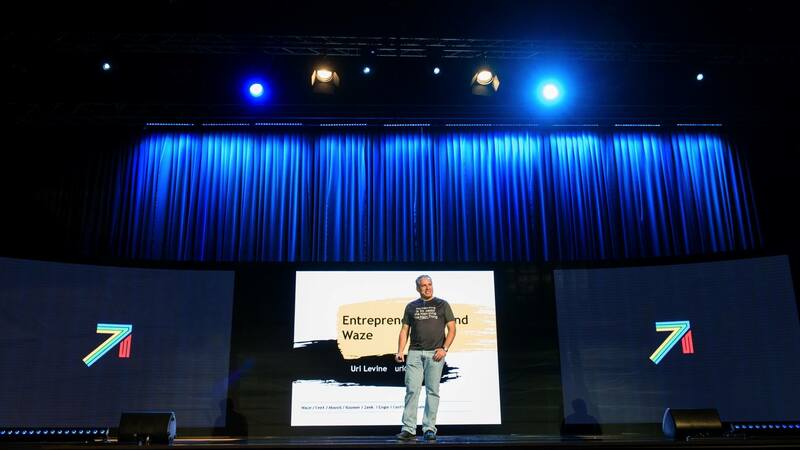 Last year, a full day conference before the Startup Awards evening premiered called FutureNow. What are your impressions and feedback from people after the first FutureNow conference? Peter: We were really proud we could put together a world-class event in Bratislava and feedback from attendees only confirms that. We managed to bring amazing speakers from around the world, including Amin Toufani from Singularity University or Mark Turrell of Orasci and we raised the bar for the quality of production. What the feedback also showed us was that a 12-hour intense program followed by an after party is a bit too much to be fitted into a single day. The FutureNow brand resonated well, that’s why we have decided to make FutureNow an umbrella brand for all the related activities and events. When and where will the Awards and FutureNow 2018 take place? What can we look for? Natalia Kisková works as Global Head of HubHub and board member of Aj Ty v ITsocial organisation. HubHub is an international network of co-working spaces. With the strong business background, Natalia serves as business consultant on the board of AjTy v IT. Prior to her current role, Natalia was heading up the office for Bluewolf in Prague, Czech Republic to cover CEE region. Peter Kolesár is the CEO of Neulogy and a member of the Board of the American Chamber of Commerce in Slovakia. Prior to joining Neulogy, he worked in the diplomatic service as the Trade and Innovation Advisor at the Embassy of the Slovak Republic in Washington, where he focused on supporting Slovak startups in the USA and innovative cooperation between Slovakia and the United States. MultiplexDX to End Cancer Misdiagnosis. How?